Although I feel like at times I am a bigger Sanrio fan than a Disney fan, Disney will always have a special place in my heart. After all, I spent my preschool years toting a Jasmine doll to school with me and sleeping in a bed made up with Beauty and the Beast sheets. 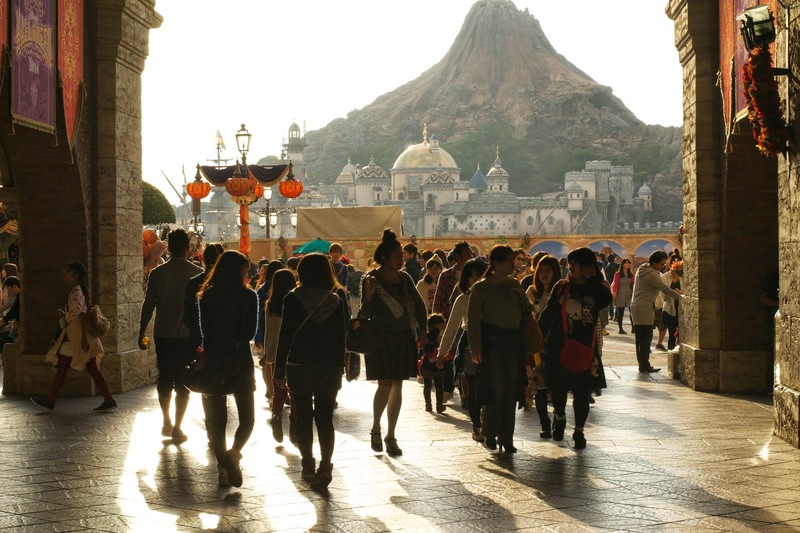 I think that many people might not know that there are two Disney parks in Japan- Tokyo Disney Land and Tokyo Disney Sea! Prior to this day, I hadn't been to a Disney park in 5 years! Last time was my senior year of high school's music department trip for a competition. We won basically everything. 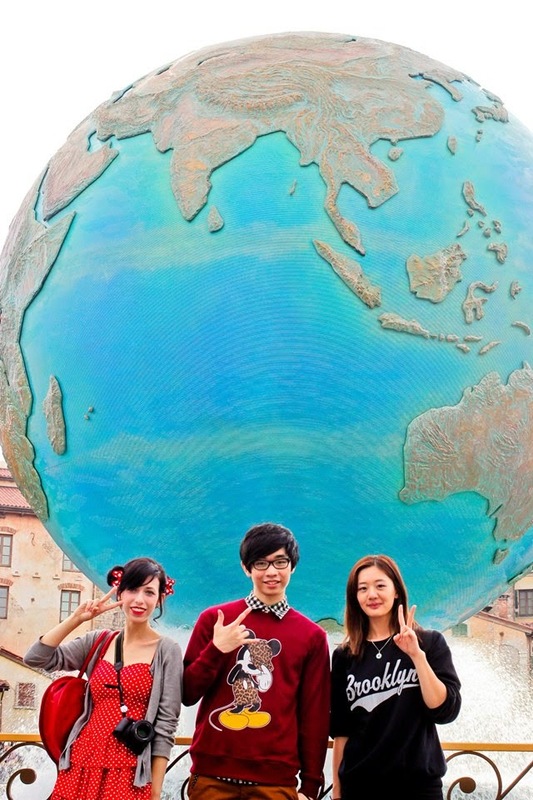 I have a lot of good memories from that trip and I was happy to make some more at Tokyo Disney Sea. I was so excited about going to Disney so I took my outfit really seriously. Behold, my magical Minnie transformation. 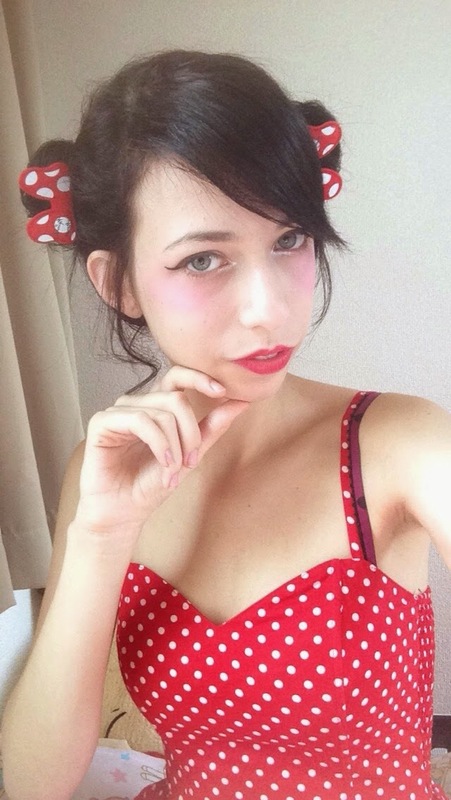 I chose to do one of the "Disney Bounding" type casual cosplays. 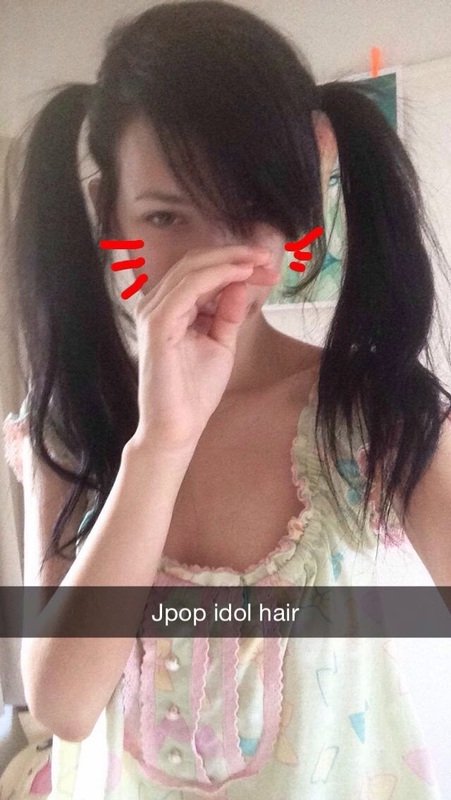 My dress is an old one from H&M and I got the hair clips from Daiso. The whole group of us looked super cute! We actually got a little lost and confused on the way to the park from the station but it turned out there was this awesome and totally cute train that you could take to the park and pay for with your train pass! I made Paul take this photo and it turned out so cute! I neglected to mention that we opted to enter the park with a Starlight Pass. 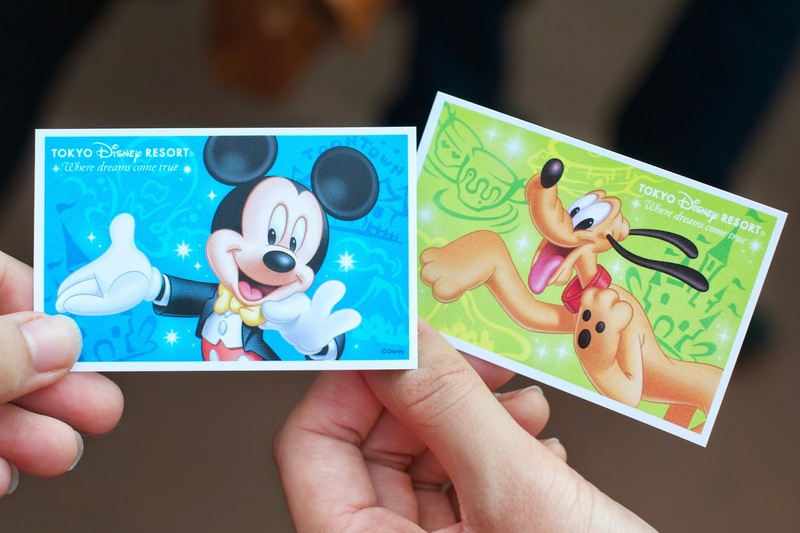 This just means you can pay about 1,500 JPY less for your ticket if you get one of these, but you can only enter after 3 pm. The entrance gates to the park looked really awesome at this time of day. The one downside I did find to having this pass was that it gets dark a bit early so it was difficult to take a lot of photos. There were so many different types of character headbands for sale. 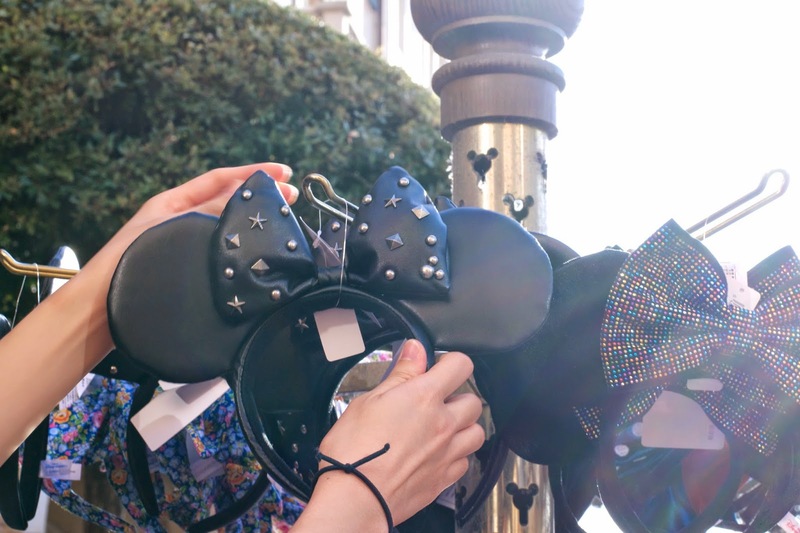 Megan and I were particularly fond of the punk Minnie ears. 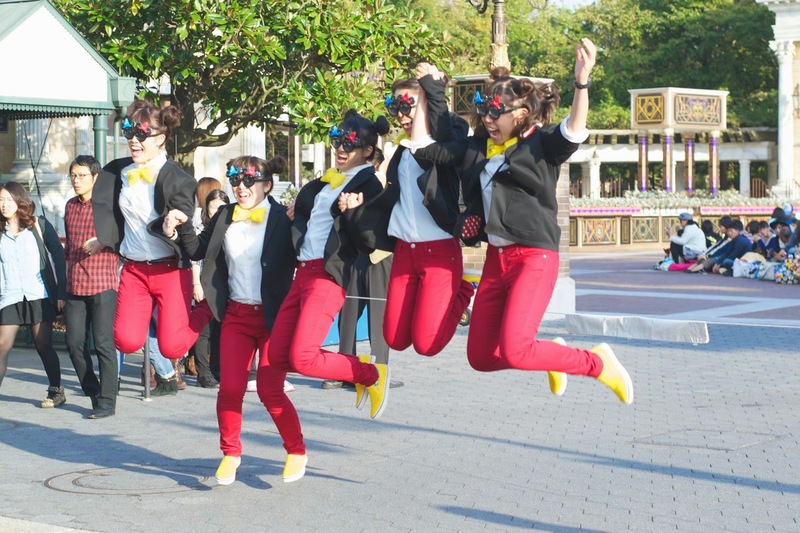 One thing I noticed that was really different about Disney in Japan is that there were so many group outfits! The one below was the only one I managed to photograph though. I was really interested in seeing all the different ideas groups of friends had. There were even groups of all guys who took their Disney outfits super seriously. It's a big difference from the way most people dress at Disney parks in America. I think what people chose to wear may have been my one of my favorite parts of the park. This indoor Little Mermaid themed area was awesome and I think possibly my favorite section of the park. We went on that cute puffer fish ride. There weren't any super intense rides in there but the ambiance was so cool. The merchandise available for sale was really different compared to American Disney parks. Below is a photo of some really gorgeous train pass cases. 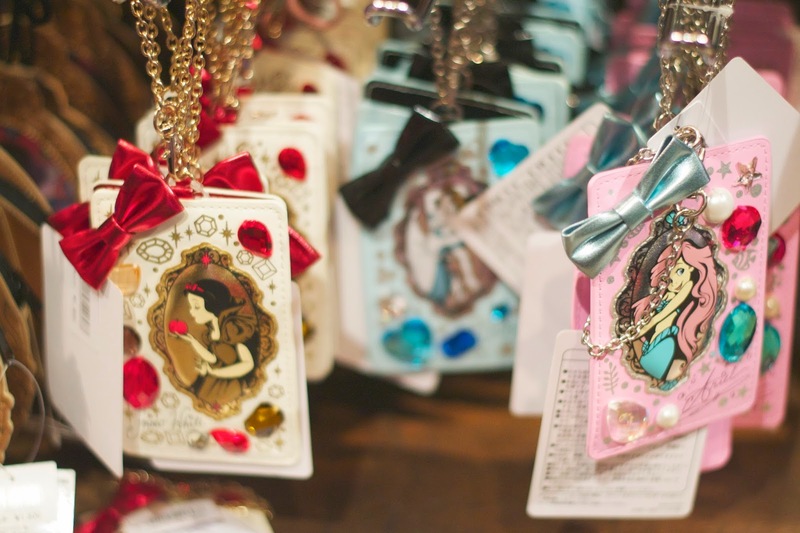 They also sell a lot of phone charms and accessories that are food items with Disney themes. I got some earrings that have charms that look like Minnie Mouse lollipops! 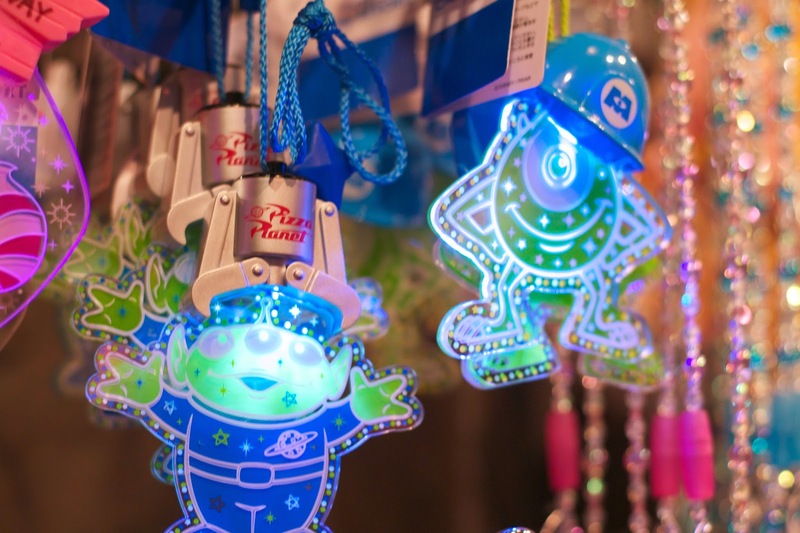 Monsters Inc. might be one of the most popular of the Disney movies in Japan. I see so many people with Mike Wazowski merchandise specifically. Since we got to the park late and headed straight for some rides, we didn't do too much eating. 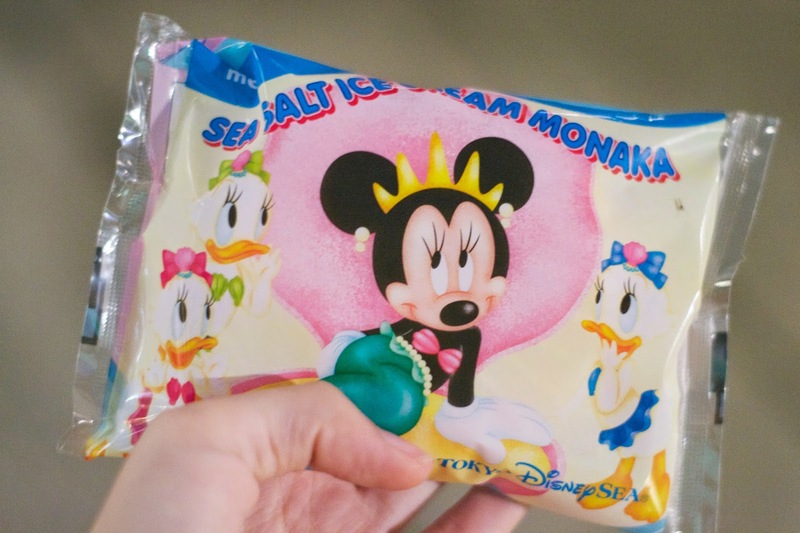 One thing I had was this Sea Salt Ice Cream Monaka which is a Japanese-style dessert. Because it got dark, I don't have a good photo of what was inside the package but it looked like a pink cookie seashell. Popcorn is also a thing at Tokyo Disney and you can buy these really cool looking popcorn buckets for discounts on refills. There are designated places around the park for various flavors of popcorn. I didn't get any photos of this either but I tried the milk tea flavor and it was so good! Overall, I had a really good time. I was happy to get the discounted afternoon ticket because it cost me a bit of money to take the train there and back even though I only live about 2 hours away. We also went on a Monday that was a holiday but it wasn't super crowded because I think most people had school or work the next day. I also happened to be one of those people and so I was rather exhausted after this trip. The Japanese teacher I work with told me that I had no smile that day and I told her it was because I left it at Disney. My friends and I are planning to try to go to the Disney Land park this winter when they have all the Frozen things! I will definitely make sure to take more photos then. 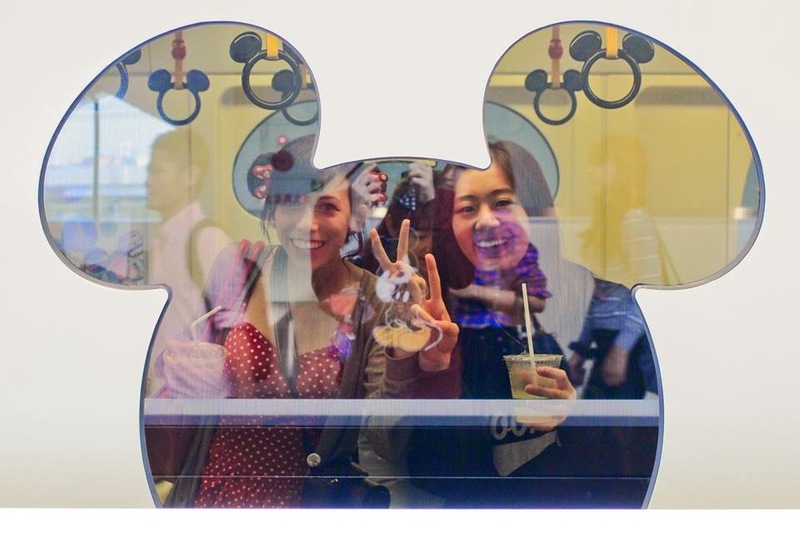 I was really happy to have been able to experience Disney in another country. 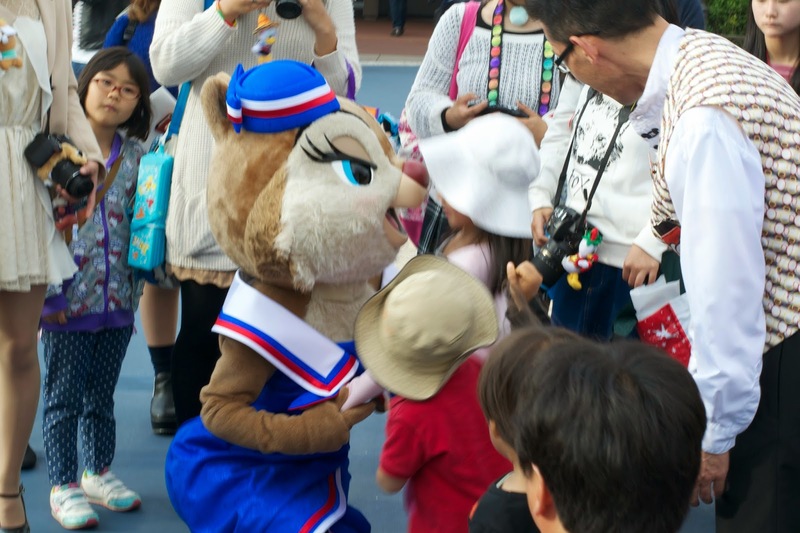 I think Japan's Disney culture is a bit different from what I have experienced in America. 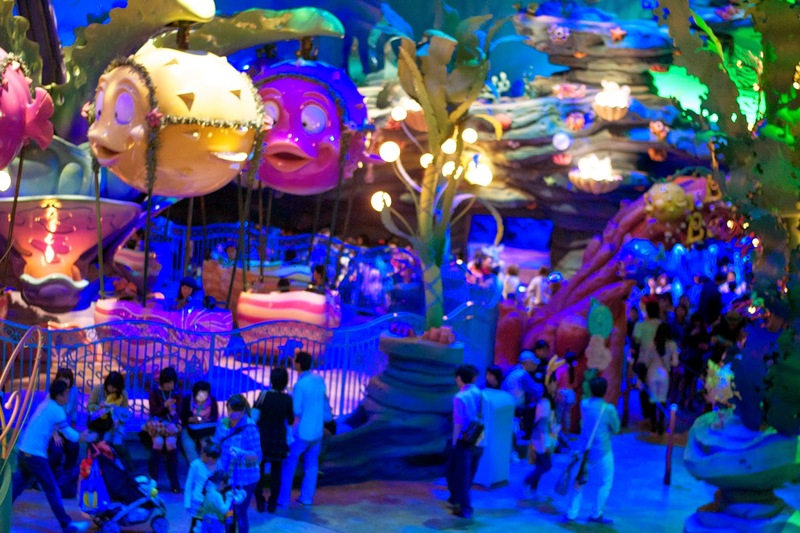 Have you ever been to more than one Disney park? How do they compare? 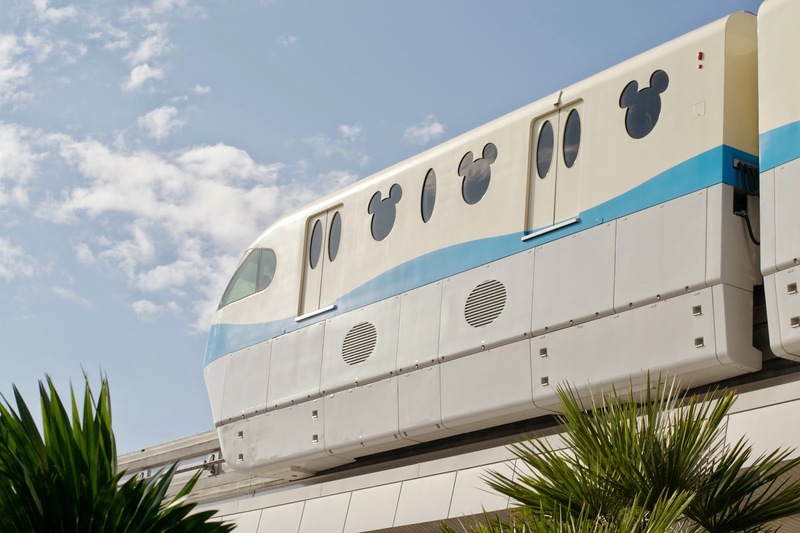 I am so envious i wanna go to that park the most because just for the merchandise uggggh i wish Epcot would get with it and provide the japanese merch at their park so i can at least get that there, why can't disney take an example from japan with that regard ffff. You looked so cute i can't wait to see your future adventures! !